The term farm to table has been used in the US for some time. It’s basically a social movement which promotes serving local food at restaurants. While in the past, Bermudian restaurants have always had fresh fish, that really seemed to be it. Thankfully, the farm to table concept is having a moment here. That brings me to the Farm to Table dinner I experienced over the weekend at Marcus’ restaurant at the Hamilton Princess. 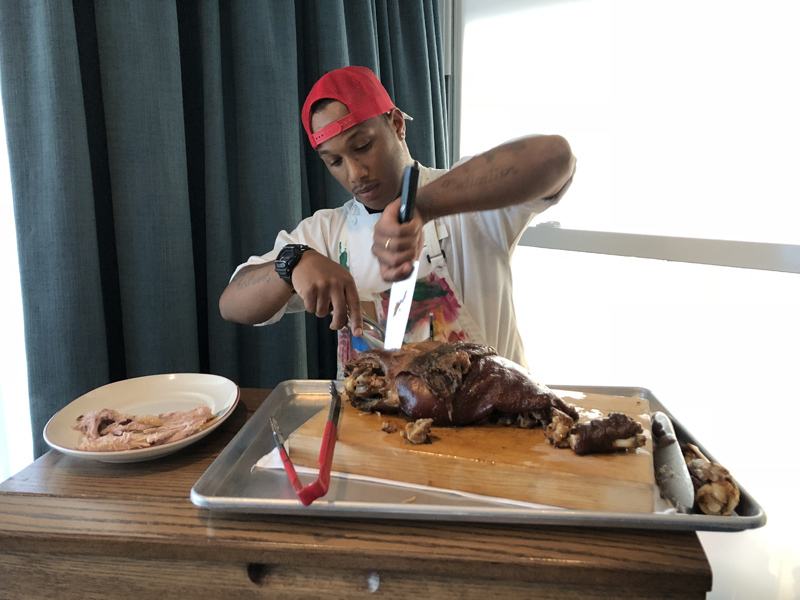 After spending the day on a foodie field trip with Chef Marcus Samuelsson, I returned in the evening for what I expected to be a wonderful dinner. Wonderful truly is an understatement for what I enjoyed. Let’s start from the beginning. 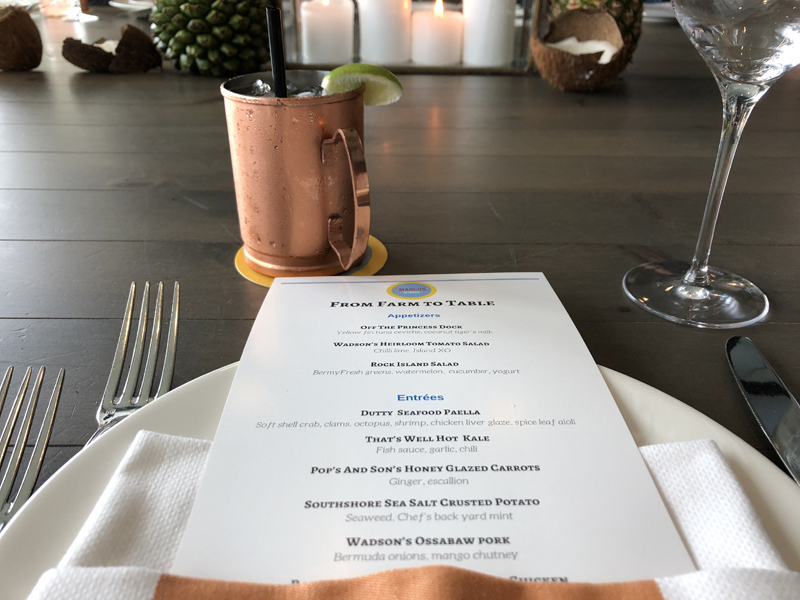 Diners were greeted at the entrance of the restaurant’s private dining room with a princess mule – vodka, ginger beer and lime. There was also hand passed apps including curried arancini, chicken baos and tartare. It was a delicious start to the evening. Before the dinner started, Chef Marcus thanked everyone for coming and thanked his team, headed up by Chef Danai, for their hard work in preparing for the dinner. 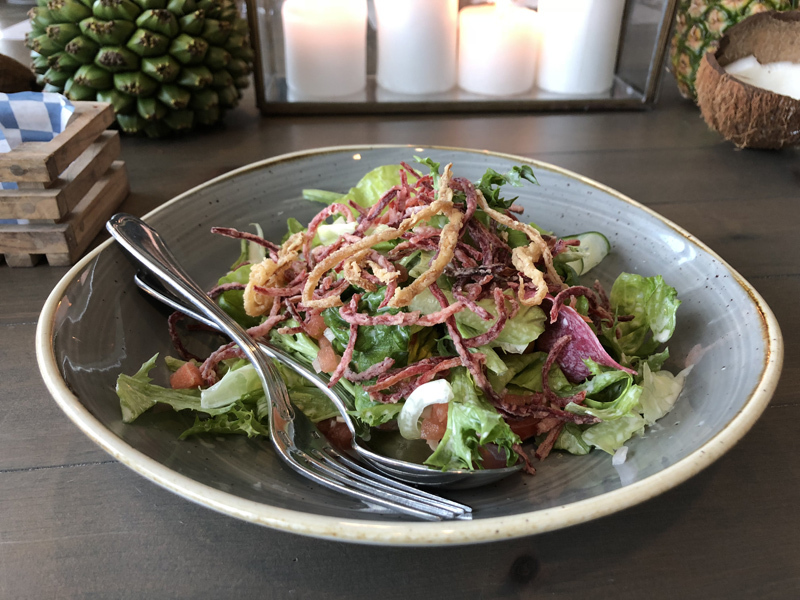 For starters, we enjoyed Yellowfin Tuna Ceviche, Wadson’s Heirloom Tomato Salad and Rock Island Salad made of Bermy Fresh greens, watermelon, cucumber and yogurt. 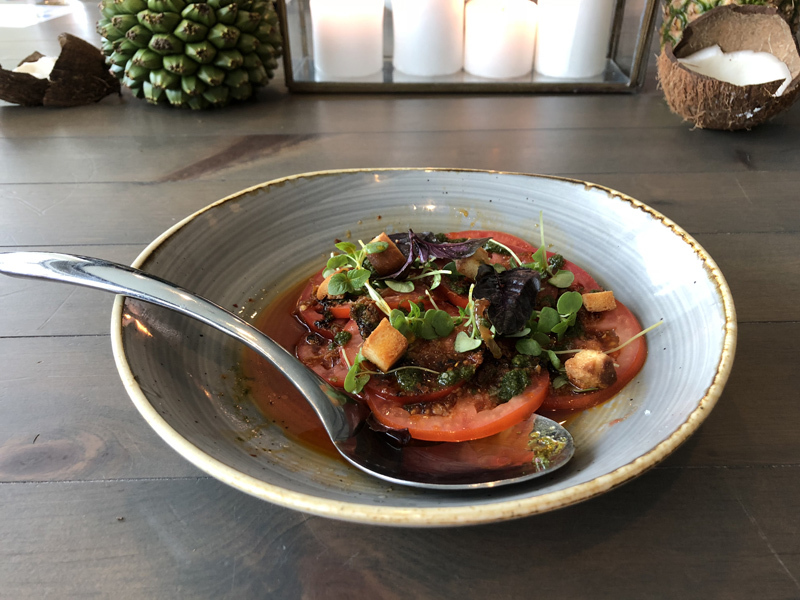 All the starters were delightful, but for me, it was a tie between the ceviche [out of this world fresh] and the tomato salad – something I would never order but so light and well-seasoned. 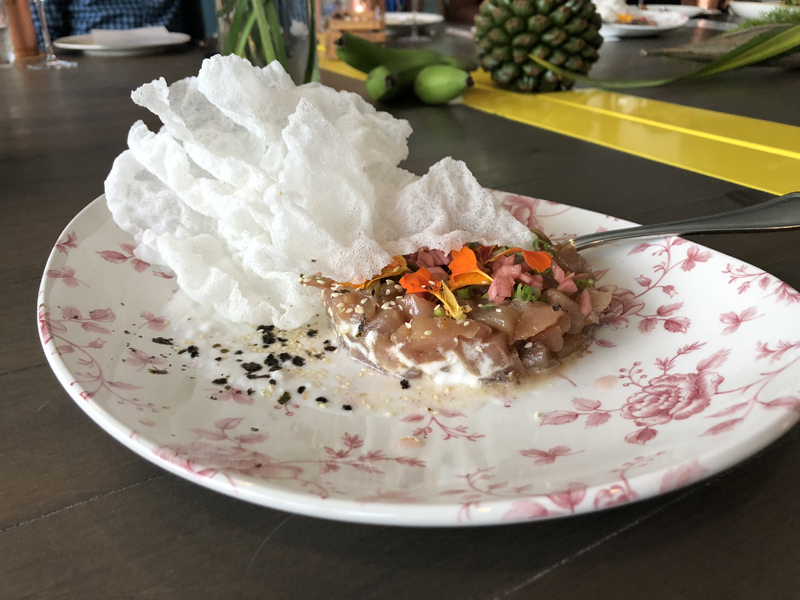 Once the plates were cleared for the apps, servers began to buzz in and out of the room with more plates and then platters upon platters of food. Everything was served family style, which was great for greedy folks like me. 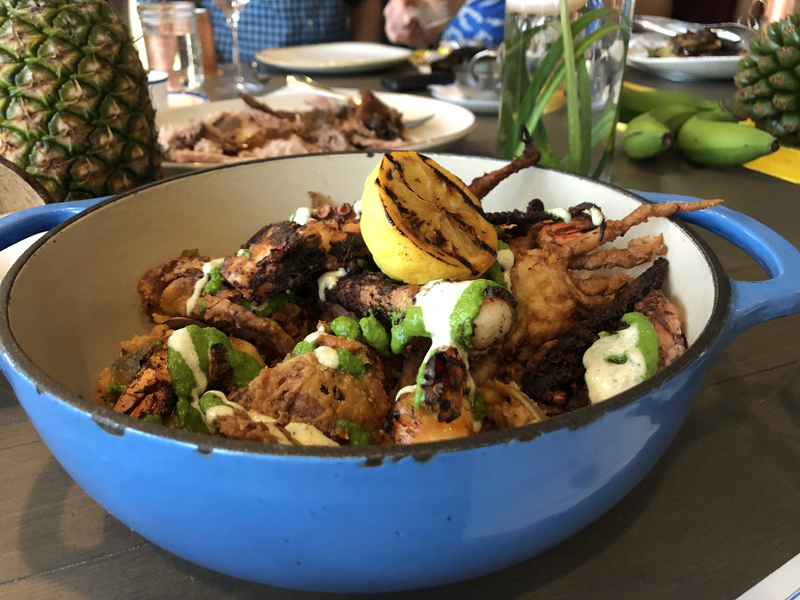 We enjoyed Dutty Seafood Paella, That’s Well Hot Kale, Pop’s and Son’s Honey Glazed Carrots, Southshore Sea Salt Crusted Potato, Wadson’s Ossabaw Pork and Railway Trail Spice Leaf Jerk Chicken with loquat jam. The dishes were epic to say the least. My favourite thing about this spread was the thought that was put into each dish to make it locally inspired. In every single dish, local produce or meat was used. In fact, for the potatoes, Chef Danai actually boiled down salt water to make salt and crusted the potatoes. The spice leaves on the chicken were actually from the railway trial. And of course the loquats were foraged during loquat season. I mean, it doesn’t get any more authentic or delicious than that. And as a Bermudian, I absolutely respect chefs taking the time to make Bermudian food with Bermudian ingredients. 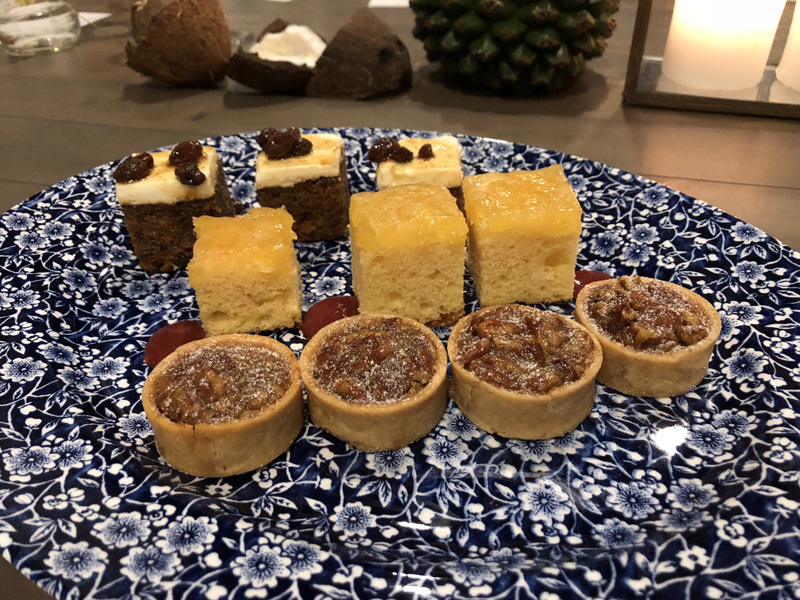 By this time I was just about stuffed but then platters of dessert came out – Pineapple Upside Down Cake, Island Carrot Cake and Pecan Tart. But the icing on the cake was the fennel ice cream. Yes, the fennel was local fennel. I’ve never had it in ice cream before but it was a winner. The entire day was incredible and to cap it off with such a delicious, well thought out dinner was the perfect ending. Thank you to Chef Marcus and his team for creating food directly inspired by Bermuda.